I am pleased to announce that, for this girl, Quentin Tarantino’s newest flick did not disappoint. Though can I really call a two-and-a-half hour cinematic romp through the Antebellum US a “flick?” Don’t go expecting anything other than a Tarantino flick, though, as would be my recommendation for all of his films forever and ever, amen. His budget gets bigger, the cinematography gets more lavish, the gore gets messier, but Tarantino films will always undeniably bear his seal of excellence and ridiculousness. You might find yourself getting swept away in serious moments of this spaghetti western revenge story, trying to convince yourself of its historical accuracy, but Tarantino always brings it back with crass or inappropriate humor, modern music, outrageously unbelievable violence and brazen characters. All of these I want, no, need, in his films. It’s no secret that Django Unchained is the story of a freed slave, Django (played by Jamie Foxx), who is on a mission to find and free his wife (name: Broomhilda!) from a Mississippi plantation. I feel as though I have been waiting for a movie like this: A US Civil War revenge tale that, while hyperbolically fabricated, gives a sense of victory, at least in one microcosmic sphere, over the disgusting history of slavery in the US. If only they could have cast Levar Burton as Django, we could have seen the real revenge of Kunta Kinte as I would have liked to see it. I was positively enchanted by Dr. King Schultz, Django’s German “partner-in-anti-crime” throughout the film. It was also nice to see Christoph Waltz playing the role of a hero rather than a villain (see: Inglourious Basterds). My inner graduate school student problematized the patronizing relationship between Django and Dr. Schultz (among a myriad of other issues). Nevertheless, just as important as my suspension of disbelief was my suspension in social commentary regarding their relationship. 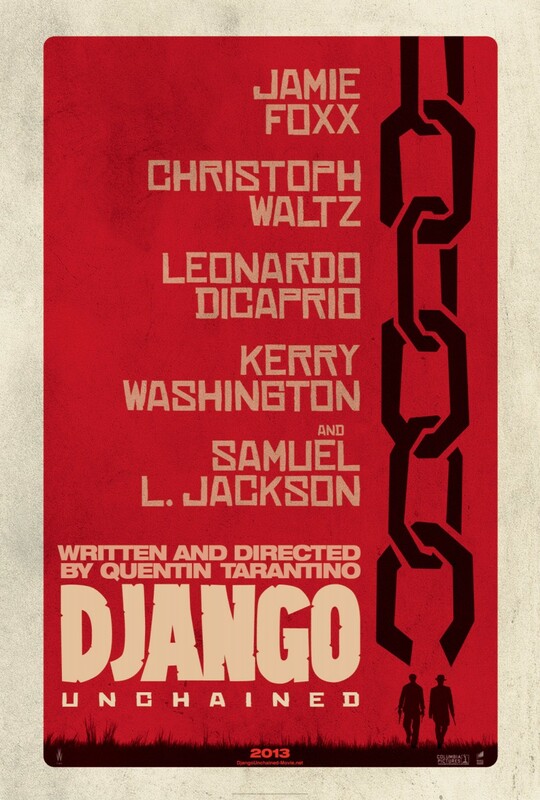 Django delivers on the cheesy and unrealistic violence you expect. It incorporates anachronistic tunes from Jim Croce, John Legend and others (à la Sophia Coppola’s Marie Antoinette), which is a soundtrack strategy that I absolutely love. 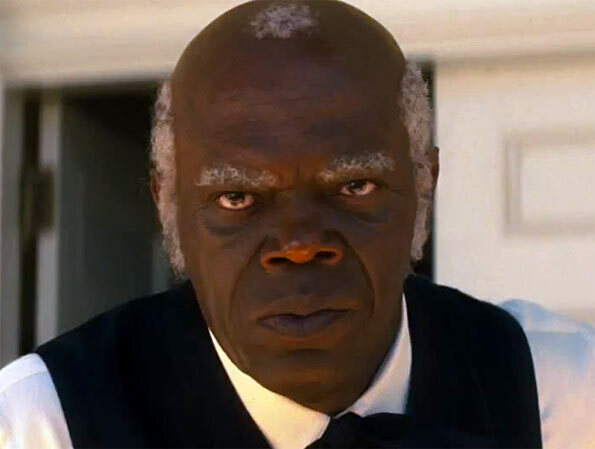 The strangest part of my whole Django Unchained experience was watching it in the South. Asheville may be an enlightened bubble here in North Carolina, but it still has its fair share of backwards-thinking good ol’ boys. I found myself cringing at the snickers of some of my fellow moviegoers at quite inappropriate moments. But it gave me great pleasure to see the representations of their racist ancestors slaughtered to pulpy bloody piles, so I hope that sentiment wasn’t lost on them. Loved the movie and would love to see it again. 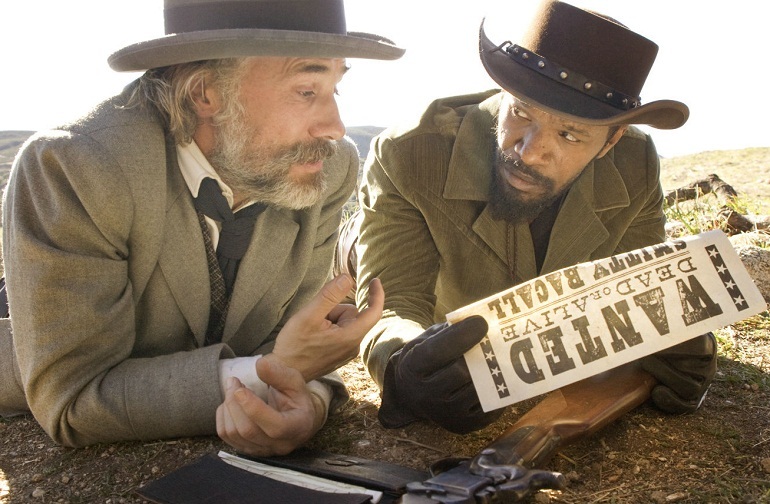 It is not for everyone, not even all seasoned Tarantino fans, but with a strong stomach and a sadistic desire to see a Roots revenge story as gory as the injustices that spurned the vengance, Django Unchained is worth shelling out the cash to catch at the theaters while it’s out.